Own Our own time is an art project that started in 2010. I wanted to examine the possibility to catch sight of time in a physical form. A time linked to the human body in the form of monumental knitting. Since 2011, four perfomances have been carried out at various places in the world. 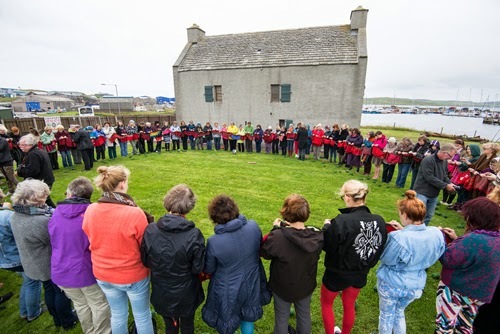 For one hour a large group of knitters meet and save a unique moment together. The participates form a large circle, a scene. This enables collaboration with other forms of art as Faroese dance, accordion, radical feminist folk music, modern dance. The different expressions of people's capacity to create good acts are fantastic and without an end. 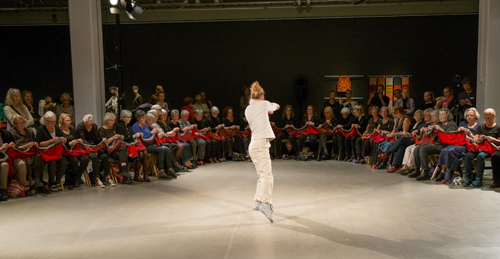 The project started with 80 women who sat in different places in the world and saved time in the form of beautiful red knittings. 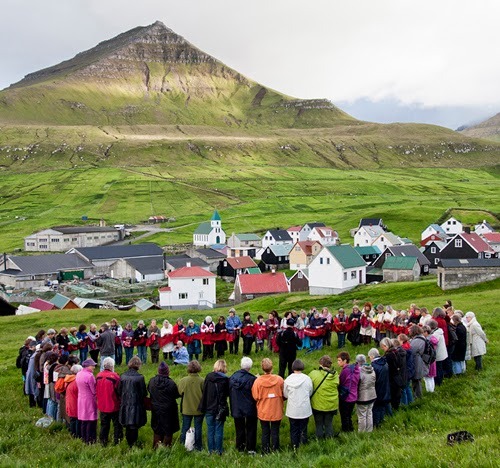 On a meadow by the sea in Gjogv on the magical Faroe Islands started a project that is still ongoing. The pictures show the performance where each session has been a powerful experience. In this blog, you can follow the project emergence and also take note of other knittings inspired by Own Our own time. 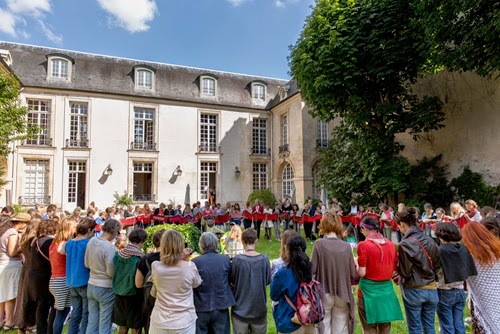 The yarn used in the performances has a direct connection to the place which is documented. Read more about this in the blog. Many thanks to all who have participated in this exciting journey. Welcome to visit the blog.